Died: 14th April 1918; age 21; Died of Wounds. On the outbreak of war he decided to leave school. 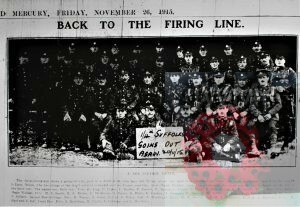 He obtained a commission in August 1914, in the 4th Battalion, of the Suffolk Regiment; going to France in November when just 17 1/2. He saw considerable fighting in 1915, before being sent home sick. Horace was then retained on Home Service till he was 19 years old. He obtained his second pip in July 1916. Known in the forces as ‘Baby Brown,’ Horace was an Intelligence Officer on the Brigade Staff and afterwards on the Divisional Staff. Ipswich School magazine – June 1918. 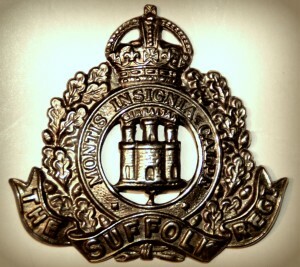 Rank: Lieutenant; Regiment: Suffolk Regiment, 4th Battalion (Territorial). Medals Awarded: Victory, British War & 1914 Star + Military Cross awarded on the 1st January 1917. Brother to ERIC LANDON BROWN. Horace was 3 years old and living with his parents & siblings. Edgar Jermyn Brown, 44, a Timber Merchant – employer, born Ipswich. Annie Josephine Brown (nee Lovely), 42, born Calcutta, India. Cecil Jermyn Brown, 14, born Ipswich. Eric Landon Brown, 12, born Ipswich. Nina Josephine Brown, 11, born Ipswich. Edith Annie Brown, 10, born Ipswich. Horace was 13 years old and living with his parents & siblings. Eric, 22, a Timber Merchant. Horace attended Ipswich School – entered the Preparatory School in September 1906, and reached the VI Form in September 1913. He was a member of the School O.T.C. and became a Prefect in 1914. He won his 1st XI. football colours in the 1913-1914 season. His 1st XI. cricket colours in 1913, and captained the XI. in 1914.Horace was the school champion in the athletic sports at Easter 1914. Horace’s brother Cecil was an author & editor in the 1920’s & 1930’s. Cecil abridged and edited The Three Musketeer’s by Alexandre Dumas in 1936. 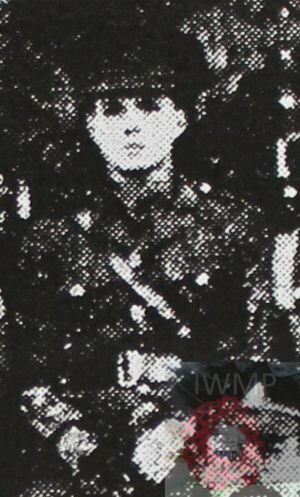 Horace is also remembered on the Chapel war memorial at Ipswich School, and at St. Margaret’s Church, Ipswich, and at St.
Mary at the Quay Church, Ipswich. 1 Pings/Trackbacks for "HORACE MANTON BROWN"